A Wells Fargo executive on Tuesday visited the U.S. Congress, where a Senate committee held a hearing on the financial institution’s various scandals—including one that involved wrongly forcing 800,000 customers to purchase auto insurance they didn’t need. One lawmaker, in particular, flat-out accused the bank of lying to Congress, according to CNN Money, for failing to disclose the problem during a previous hearing in September 2016. The company said it first became aware of the situation in July 2016, following an uptick of consumer complaints. The purchased insurance program was suspended within a few months. “We believe that the activity at issue here was limited to certain” employees working in the company’s community banking division. Wells Fargo did not mention the auto insurance scandal, which was rooted in its auto dealer services department. Brown peppered Wells’ current CEO, Tim Sloan, about why he didn’t mention the auto scandal after the previous hearing. “Why did you think it was okay to continue to cover it up?” Brown asked Sloan on Tuesday. 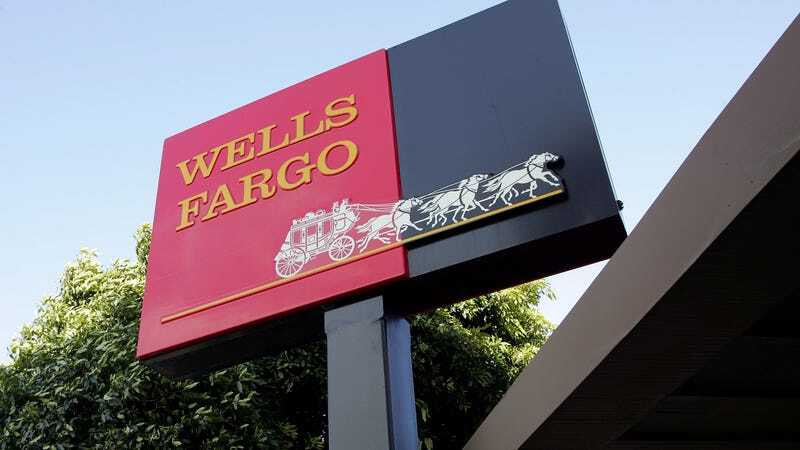 Sloan denied Wells Fargo tried to bury the auto insurance problems. “We haven’t been covering it up,” Sloan said. The CEO defended how he handled the matter, saying he helped decide to suspend the insurance program in September 2016 after learning of the problems. Indeed, the program was suspended last September. But the problems weren’t revealed until months later, when The New York Times obtained a copy of an internal report that illustrated the extent of the problem. With one scandal after another piling up, Brown said Sloan hasn’t done enough to rein in the culture of Wells Fargo, according to NPR. “The changes Mr. Sloan and his team have made are not sufficient to reform a corporate culture that is willing to abuse its customers and employees in an effort to pad its numbers and increase executive compensation,” Brown said. Know anything about Wells Fargo or the bank’s auto insurance dealings? Send an email to ryan.felton@jalopnik.com, use our SecureDrop system, or find my contact for Signal here.